For "goddess" read "godless" -- an erratum in The Etonian, 1820. "The man who slew his god." From Cartoons Magazine, 1917. 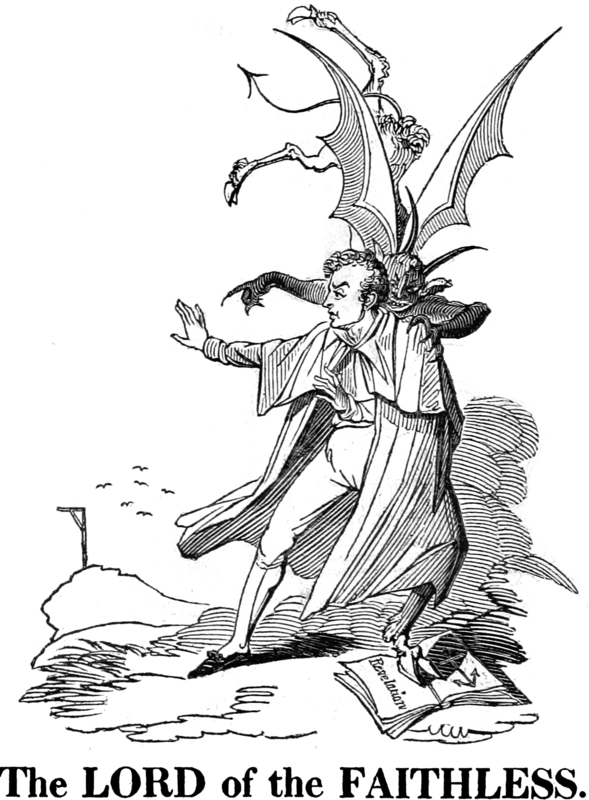 Here's "the lord of the faithless," from The Men in the Moon or The Devil to Pay, illustrated by George Cruikshank, 1820. 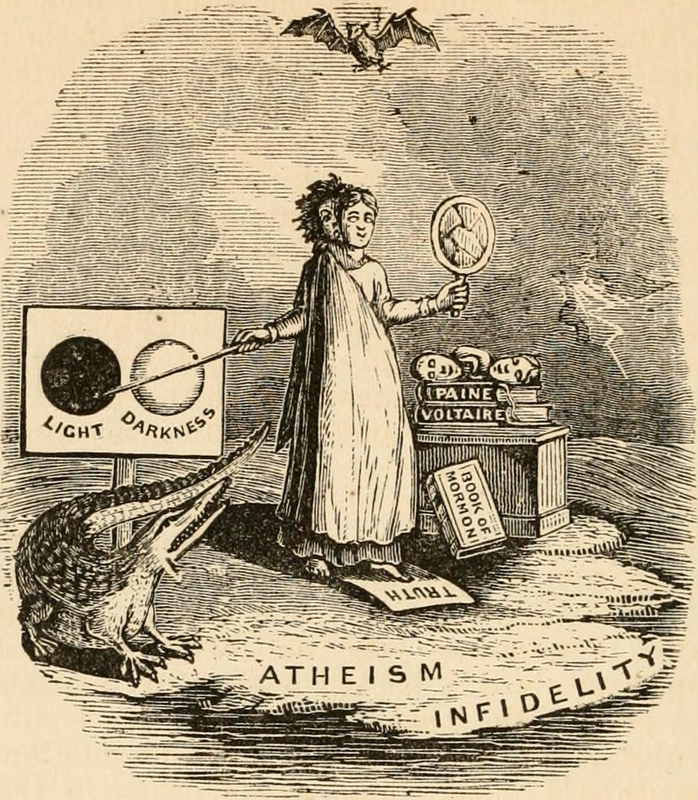 From Joyful News Reciter, 1889. 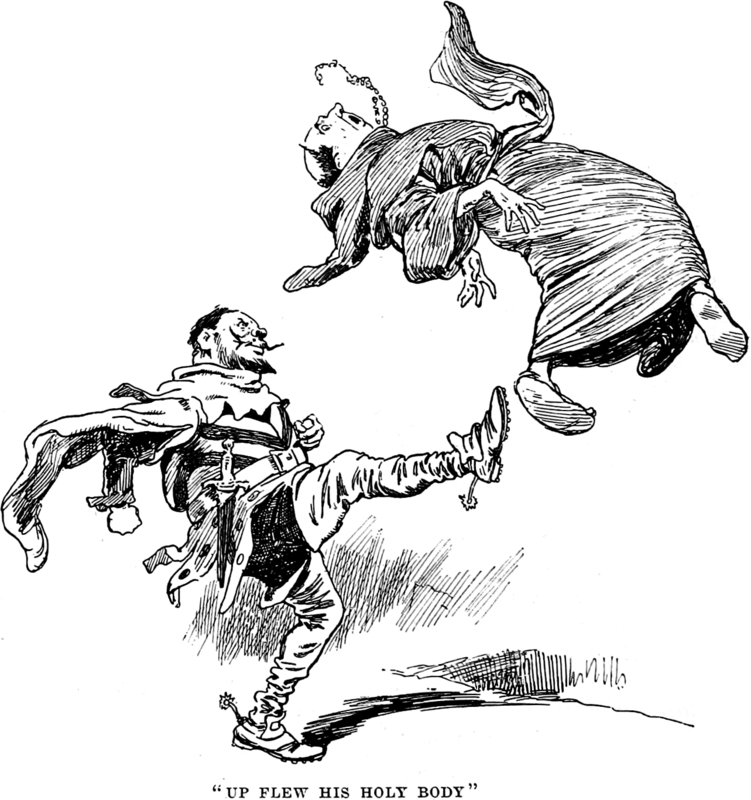 Here's a "preacher kick" from Blasts from The Ram's Horn, 1902. 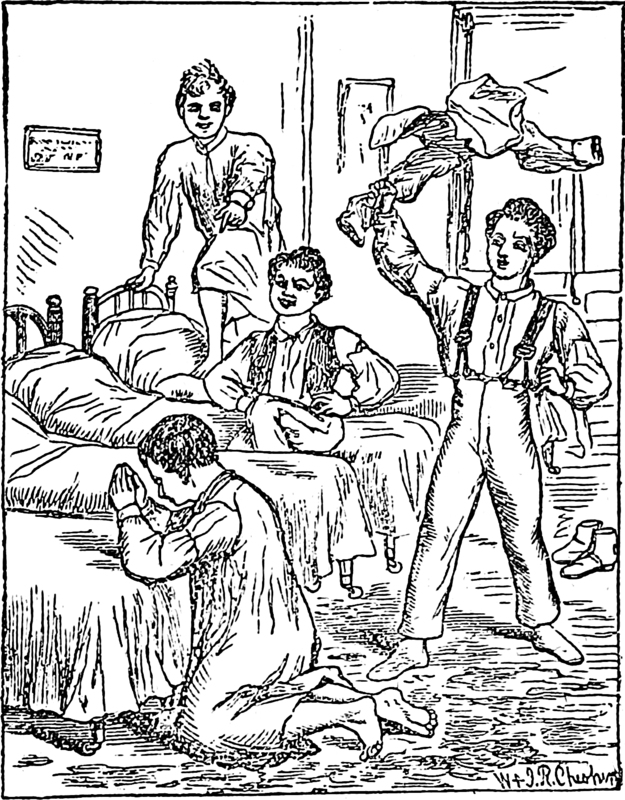 "Up flew his holy body," from The World of Romance, 1892. 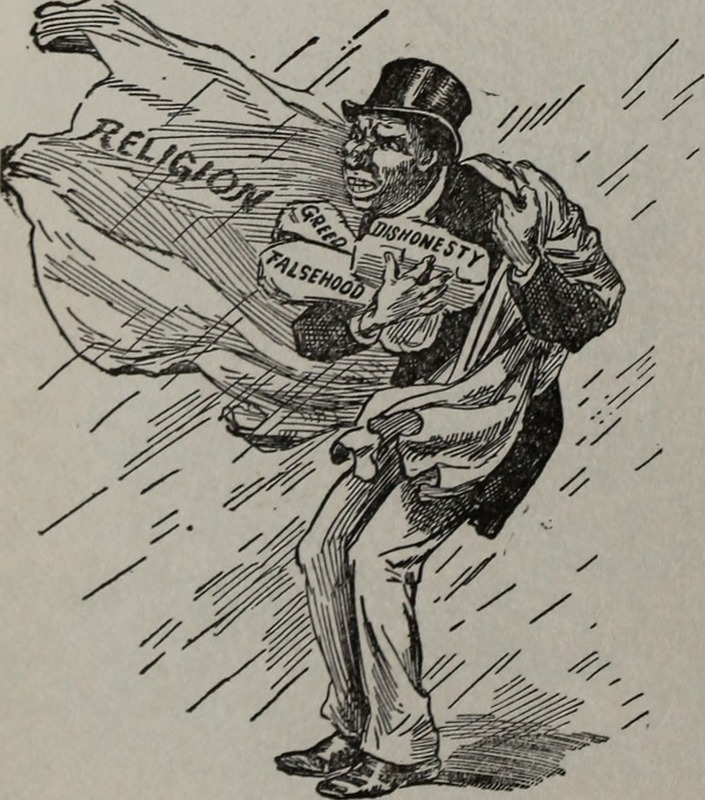 Religion is here depicted as a cloak for greed, falsehood, and dishonesty. From Blasts from The Ram's Horn, 1902. 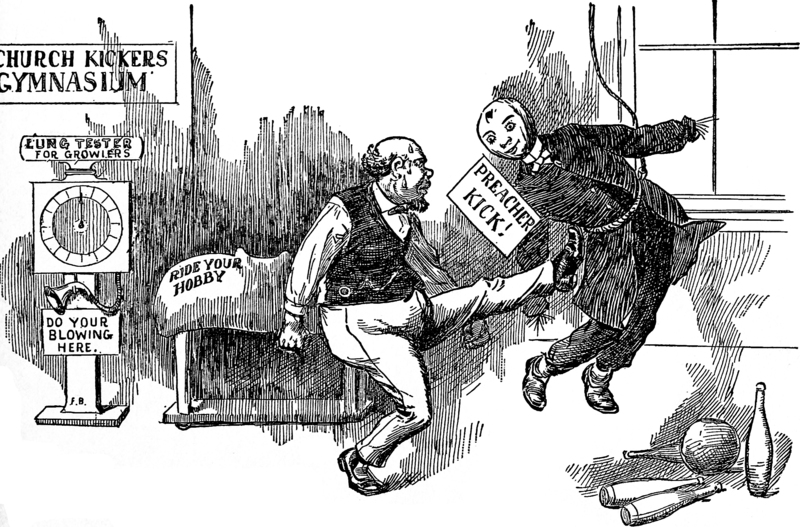 An illustration from an 1880 issue of Puck magazine. 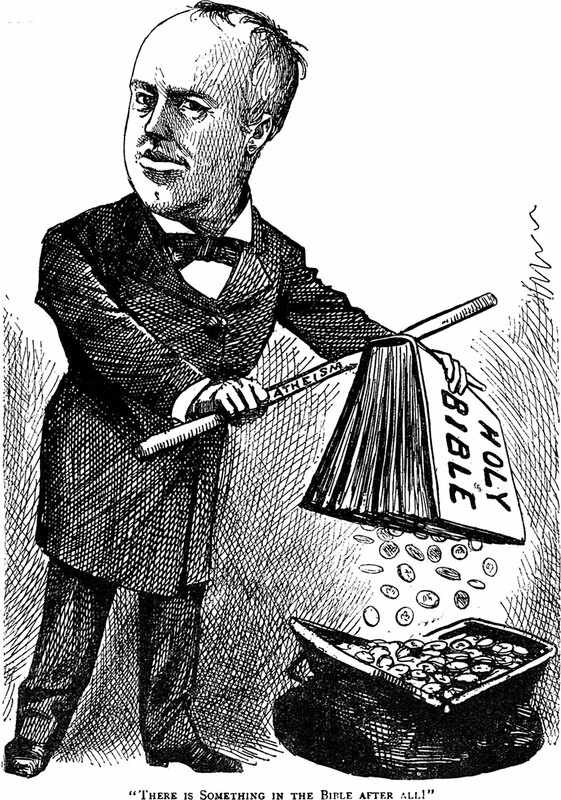 The caption reads: "There is something in the Bible after all!" 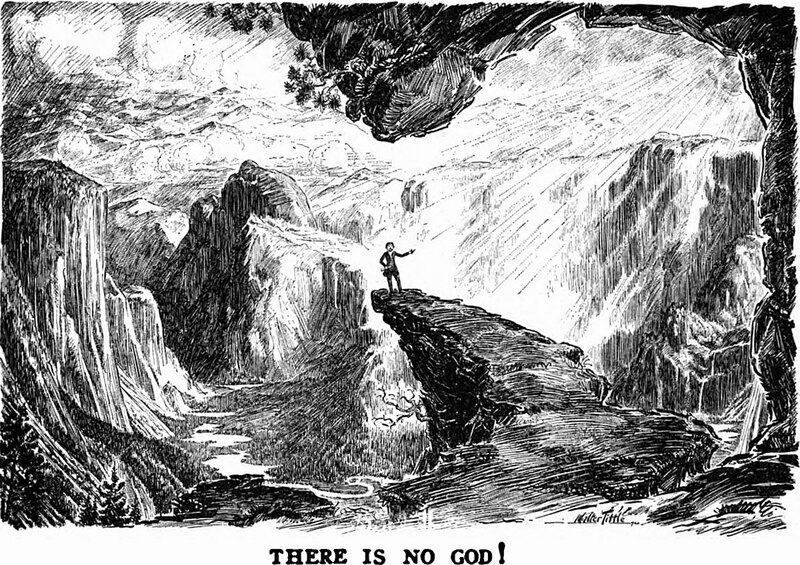 "There is No God! 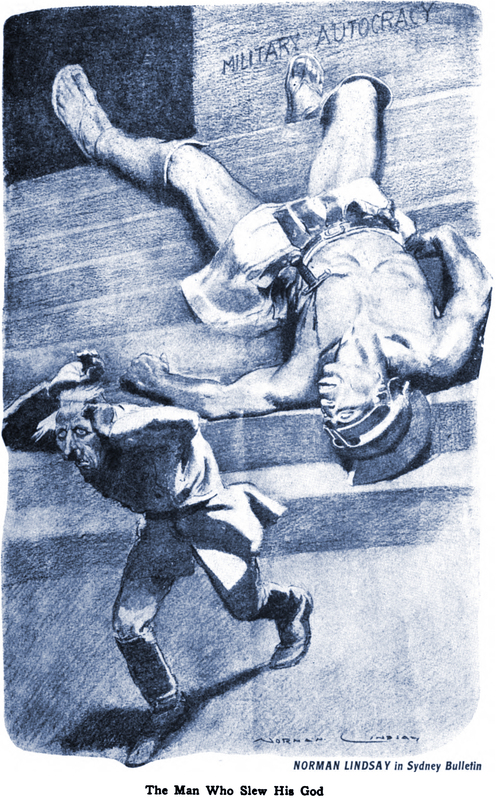 ": an illustration from a 1920 issue of Life magazine.